Josie is due any minute now so we are officially on kid watch. As you can see, she is roughly the size of a small aircraft carrier with a very full looking udder. She is really waddling around these days, but being hugely pregnant in this blistering heat hasn't changed her temperament one bit. She's still full to the brim with piss and vinegar, and that's the way we love her. Our Thea should be due just a few days after Josie. As you can see, she is not carrying nearly as wide as Josie. Her gut is hanging low instead. If I didn't know this girl's normal shape or hadn't had her tested, I'd be wondering if she was pregnant at all. Both our mommas to be are still out grazing in the hot sun like nothing unusual is happening. 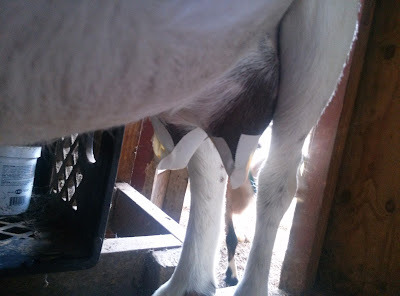 Meanwhile, we've been checking udders and goat rears several times a day for any indication of impending kid-hood. Since both the girls are CAE+, we plan on pulling and bottle raising babies. We just got a negative CAE test back for Gertie, and we have a freezer full of her milk ready and waiting. Today I taped up both girls' teat just in case they decided to go all ninja and kid on us without any warning. Before I taped Josie, I milked out her udder in hopes of keeping her from getting congested like she did with Gwen. I was also hoping to get some colostrum from her that we could heat treat and have ready for when the little ones arrive. Unfortunaly, what I got was white and salty. I guess the real colostrum doesn't come until momma is really ready to kid. 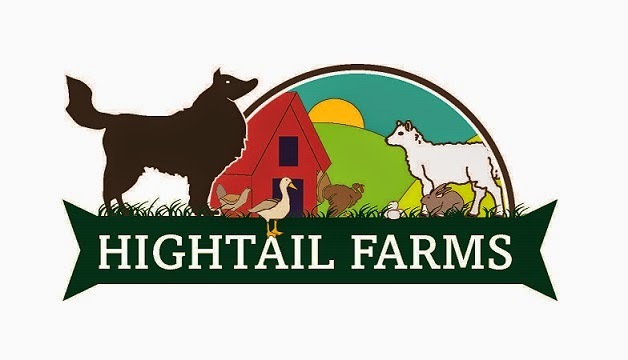 The next few night will be very short on sleep as we will be checking on the girls every few hours and keeping our fingers crossed that we will be there with the catcher's mitt ready when they decide to kid.